How is the PBCC different from other cancer organizations? The PBCC has been the voice for breast cancer survivors in PA since 1993. Our focus is solely breast cancer, and solely Pennsylvania. We hold events and educate Pennsylvanians in all corners of the state. We operate with a small staff of only 8 paid employees, so our overhead costs are minimal, compared to those of larger national cancer organizations. Approximately 89 cents of every dollar donated by individuals like you goes directly toward our innovative and award-winning programs with the goal of "finding a cure for breast cancer now...so our daughters won't have to." Is the PBCC part of a larger national organization? The PBCC is an independent organization. We have working relationships with other breast cancer organizations, but are not formally affiliated with them. Do you have chapters in other states? There are other states with their own breast cancer organizations and coalitions, but they are not affiliated with the PBCC. The PBCC is based in Lebanon, Lebanon County, with one additional office in Delaware County. We serve the entire state with our educational outreach and statewide programming out of these two offices. We do not have office locations or chapters outside of these two counties. Is the PBCC a government agency? No. The PBCC is a 501(c)3 nonprofit organization. While we have relationships with some legislators and government entities such as the PA Department of Health and the PA Department of Public Welfare, we are not a government agency. The PBCC is not a research facility. Our activities and programs are geared toward education, outreach, advocacy and research. We support breast cancer research wholeheartedly through our Potamkin grant and the Refunds for Research grants, which are all awarded to Pennsylvania cancer researchers. The PBCC is not a mammography or medical facility. We do not perform medical procedures, nor do we give medical advice. However, we do have relationships with many medical centers all across the Commonwealth, and advocate that women age 40 and over get a mammogram each year from an accredited facility. How many staff people does it take to do the statewide work that you do? Believe it or not, there are only 8 paid staff members at the PBCC. This dedicated and hard-working staff coordinates several fundraisers each month, the Pennsylvania Breast Cancer Coalition Annual Conference with 10-12 workshops for approximately 900 attendees, and brings our photo exhibit 67 Women - 67 Counties: Facing Breast Cancer in Pennsylvania™ to six communities across the state each year. While we have only 8 paid staff members, we also have a wonderful network of volunteers who help us spread the word about our work across Pennsylvania. To become one of our volunteers, fill out our online volunteer survey. A friend/family member who lives in Pennsylvania was recently diagnosed with breast cancer (within the past 6 months). What can the PBCC do to help her? One of the first things the PBCC would do is send her a Friends Like Me™ care package. Friends Like Me™ care packages have been carefully produced to address the needs of women newly-diagnosed with breast cancer. The materials are designed to support the new patient in a timely manner during those critical first few months when she is dealing with her diagnosis and making decisions about treatment options. Each box contains important and timely information about breast cancer treatment and support from a variety of organizations such as the National Cancer Institute, Cancer Information Service and the PBCC. In addition, each box includes a pink ribbon pin and various donated and complimentary gifts such as cosmetics, books, and personal care items. Of course, actual contents differ, depending on supply and demand. These packages cost the PBCC approximately $100 each, however, neither the recipient nor the person requesting the package pays a penny! If you have been recently diagnosed and would like to request a Friends Like Me™ care package for yourself or someone else, please click here. If you have any products you'd like to donate which would be appropriate to include in future Friends Like Me™ care packages or you'd like to sponsor one or more boxes with a donation, please email Stacy at Stacy@PABreastCancer.org. In addition to providing educational resources and pick-me-up gifts, the PBCC provides a hand to hold and a shoulder to lean on during the difficult time of diagnosis and treatment. Should a woman feel the need to speak to someone, the PBCC can put her in touch with a survivor who has experienced this trying time and come through the other side. If she is having trouble with her insurance or employer, the PBCC has a Patient Advocate who specializes in such situations. In essence, the PBCC can help a newly-diagnosed woman feel that she's not alone. 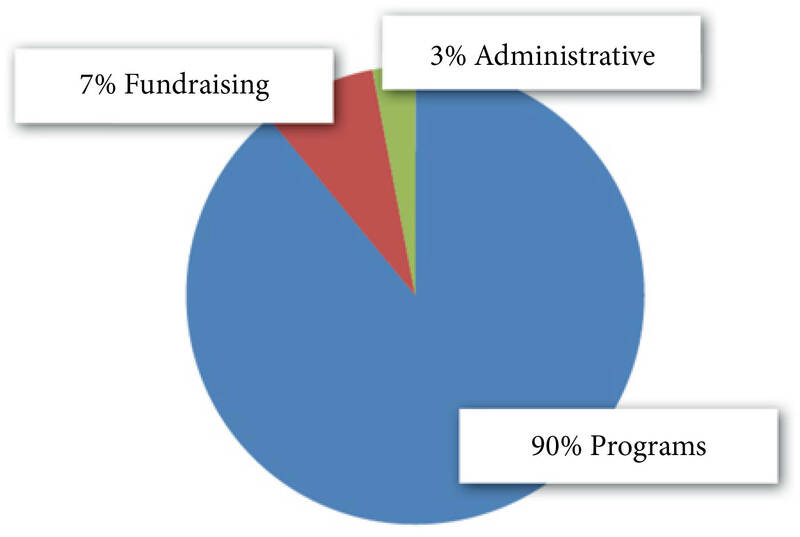 Approximately 23% of our funding comes from state and federal government grants, 39% from Grassroots Partners fundraisers, 15% from our annual conference, and 23% from other sources such as dividends and investments, marketplace purchases, honor/memorial gifts, Community Health Charities/CFC/SECA/United Way donations, and general donations. The PBCC is incorporated as a 501(c)3 in order to provide tax incentives to its contributors. Better Business Bureau standards require charities to spend at least 50% of all contributions on their stated causes. Approximately 90% of donations goes toward the PBCC's award-winning programs: Friends Like Me™, the Refunds for Breast and Cervical Cancer Research, the Pennsylvania Breast Cancer Coalition Annual Conference, and our traveling photo exhibit 67 Women - 67 Counties: Facing Breast Cancer in Pennsylvania™. 7% of your donation goes toward fundraising costs and 3% goes toward administrative costs such as salaries for employees and office equipment. Are donations to the PBCC tax-deductible? Yes. We welcome any and all donations. It is important that the following criteria be met: The individual donor must address his or her check directly to the PA Breast Cancer Coalition. The donation cannot be given for a service. For example, the registration fee for the Pennsylvania Breast Cancer Coalition Annual Conference is not considered a tax-deductible donation because the donor is attending the conference, thus is receiving a service for his or her contribution.